One of the key characteristics that defines a “wilderness” location, apart from the 1 hour away from definitive medial care, centers on the lack of available resources and the necessity to improvise. 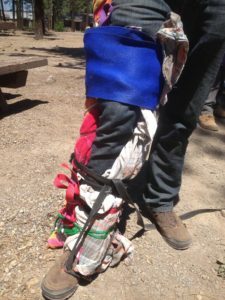 Though field teams and expeditions may have some first aid / rescue gear with them, in emergency situations there is very seldom a surplus of supplies. 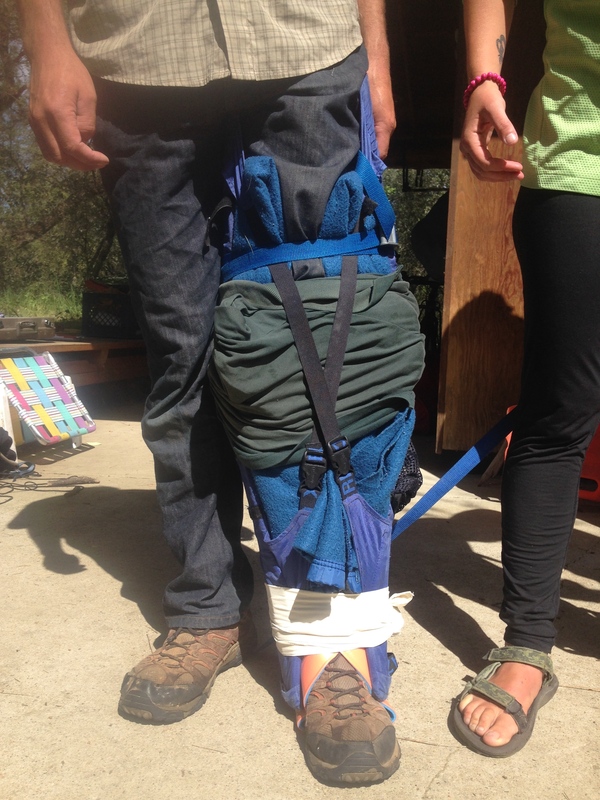 “Make do with what you have,” counters the Boy Scout mantra of, “always be prepared.” In the field of wilderness medicine, we teach students how to assess musculoskeletal injuries and treat them. In many cases treatment involves splinting. The focus of wilderness splinting centers on the need to restore good circulation and sensation, prevent further damage while attempting to make an unstable and unusable extremity more stable and more usable. If you broke down the resources needed to build immobilization splints, they would fall into 3 main categories: 1) Rigid components, 2) Soft padding, and 3) wrappings attachments and coverings. Rigid Components. Don’t overthink this one. Something that doesn’t flex too much will retain rigidity and support the injury. Sticks, Poles (trekking / skiing / tent) can do just that. Soft padding is the key to comfort. It protects the appendage from further damage and occupies dead space in the splint. Gauze, clothing, foam, pads, moss, are some of the materials utilized for this purpose. Wrappings and attachments are the key to a good splint, without which would fall apart. 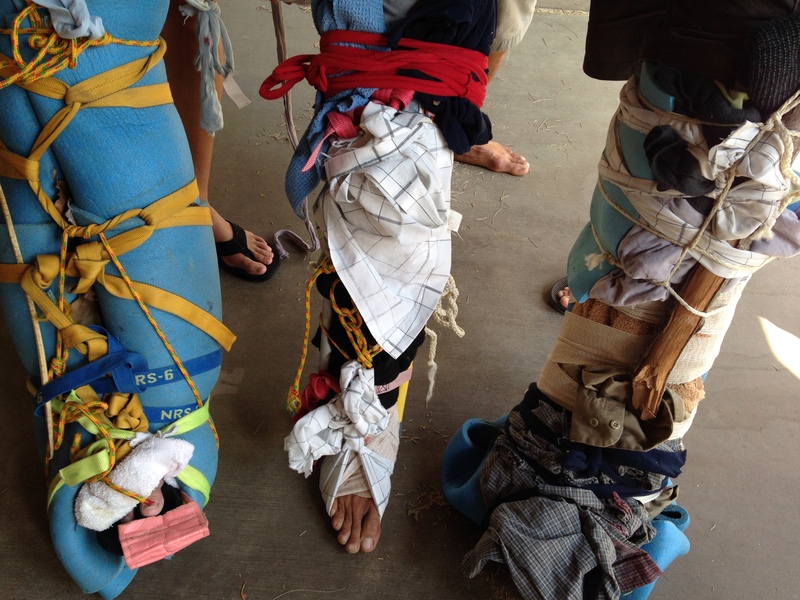 Ropes, string, braided vines, straps, strips of clothes all can be used to hold the splint together. Ideally the attachments are adjustable in some capacity. 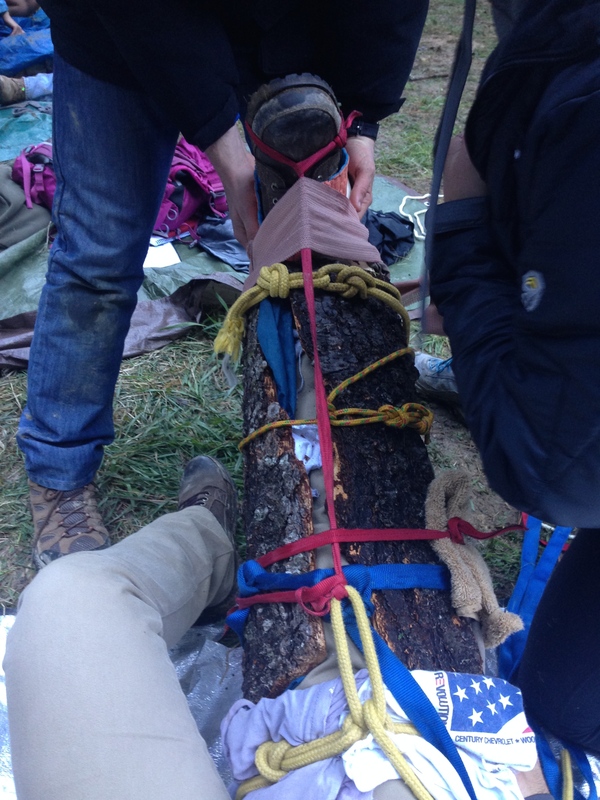 A few basic knots can really enhance your ability to build good splints. Materials you may find in a first aid kit for splinting are a SAM splint, ACE bandage, and tape. These materials can get you started, but there may be a need for more. Devise and improvise. 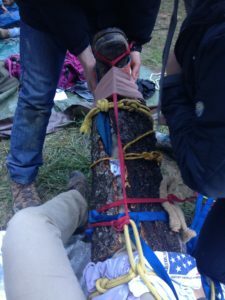 If you’re taking the time to build a splint in the field, take the time to build it right the first time. A good splint should: Look good, Feel Good, and Work. 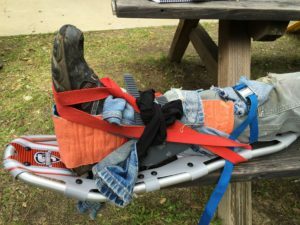 A splint that works provides support and stability to the patient’s injured area and maintains or restores good circulation and sensation. Splint-building should be a fun puzzle and challenge yourself to make the best one you can. Your patient will thank you.